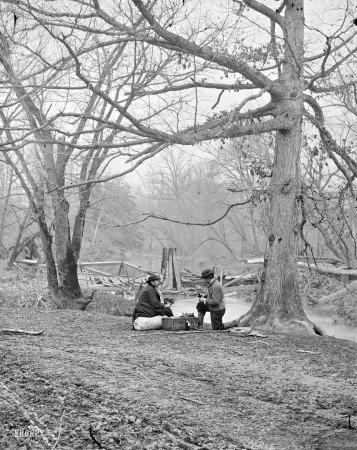 From photographs of the main Eastern theater of the war, Second Battle of Bull Run (Battle of Second Manassas). Bull Run, Virginia, winter 1862-63. "Ruins of railroad bridge at Blackburn's Ford."